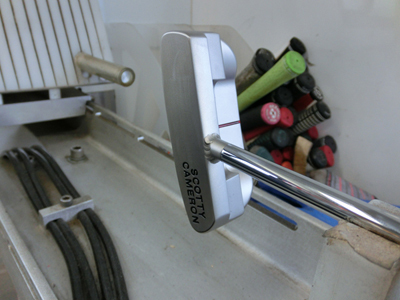 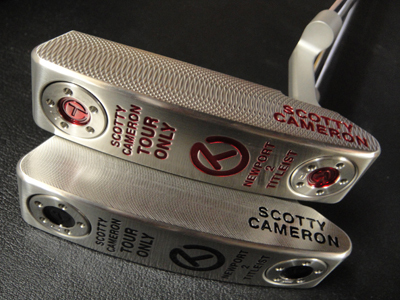 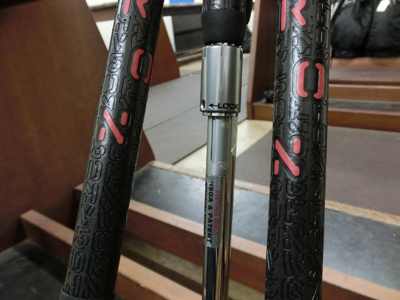 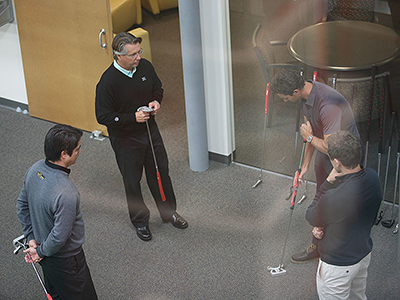 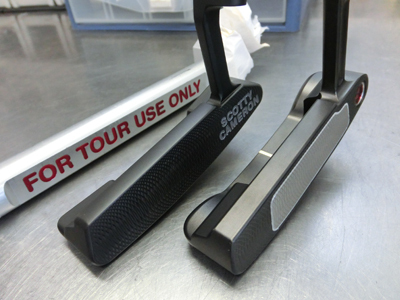 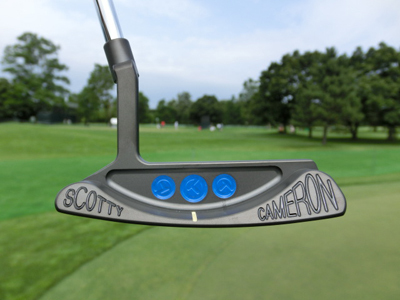 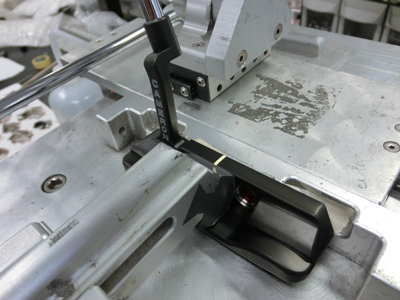 We have just started to take the precedence reservation of the Concept F-X , which is the latest Scotty’s tour putter. 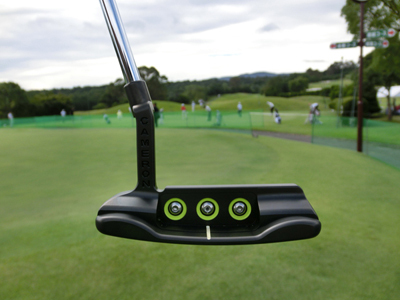 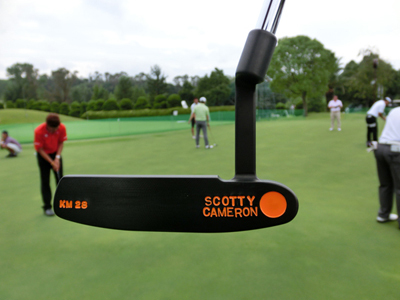 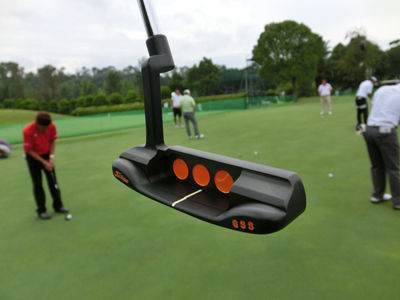 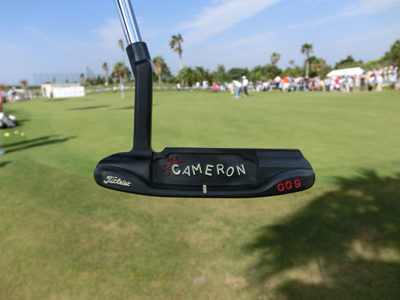 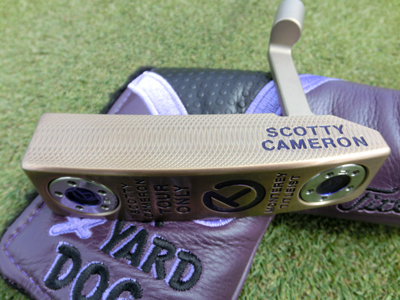 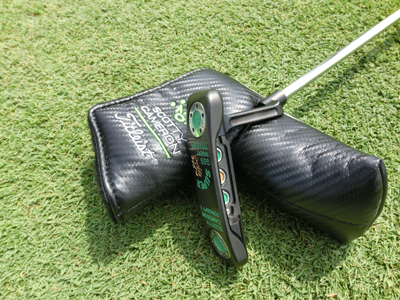 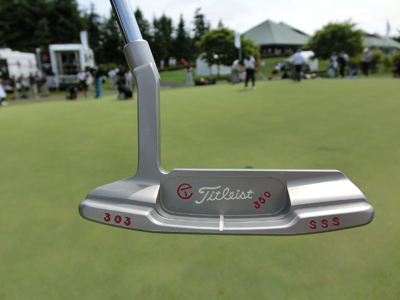 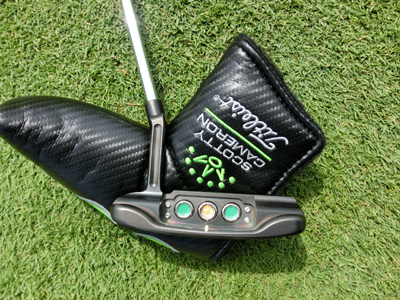 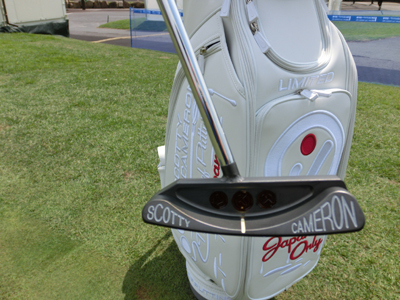 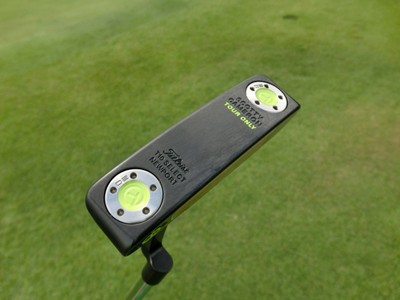 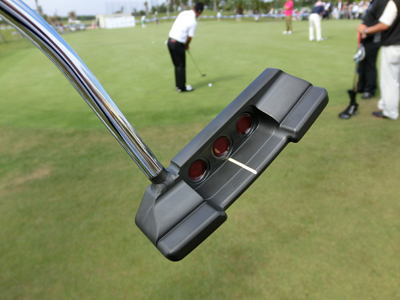 And Adam Scott won at 2013 Masters Tournament using this putter. 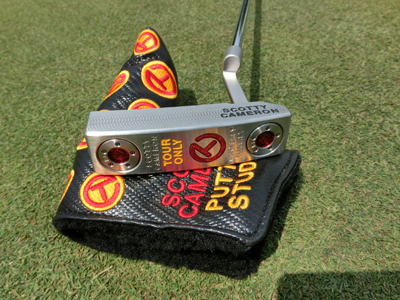 Please request this putter by sending the email including your shaft request(Bended shaft or Straight shaft), your address, your name and your phone number to the below address if you would like to purchase it. 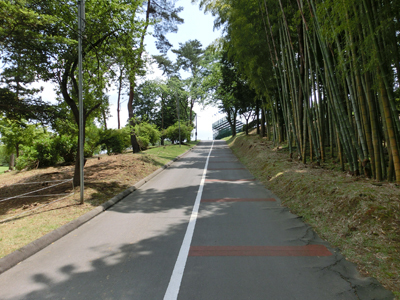 And please appreciate that we will take the reservations by order of arrival. 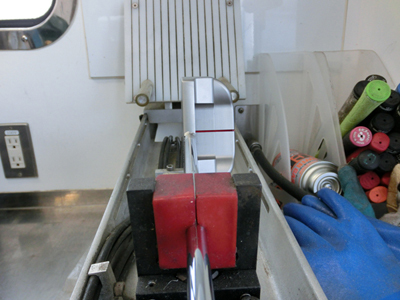 Bended shaft or Straight shaft. 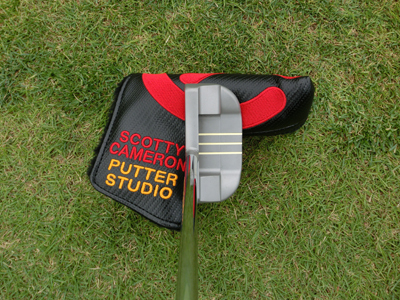 ＊Only Paypal is available for the payment for purchasing this. 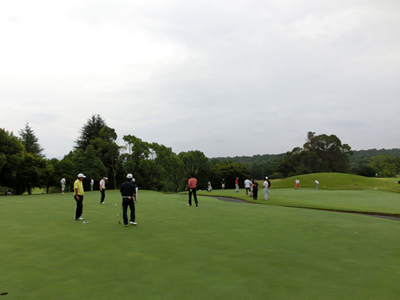 Sun Chlorella Classic is going to be held in Otaru country club which is known as one of the most difficult courses in Japan. 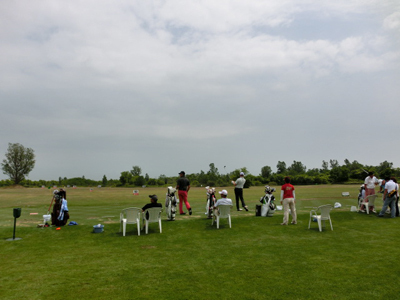 The driving range is vast. 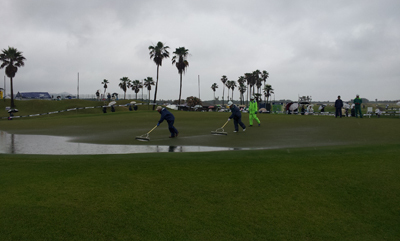 And there are 3 practice greens. 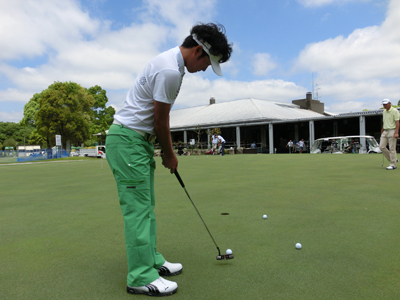 The young-gun, Mr. Satoshi Kodaira. 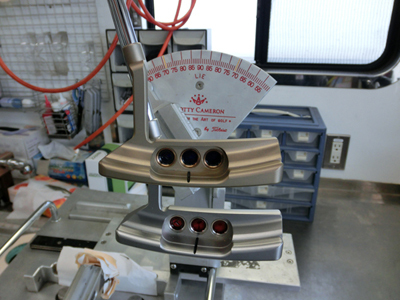 Select Newport2.6 Tour. 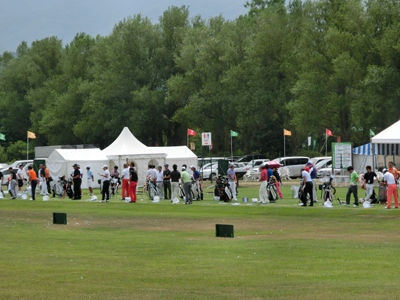 How will the players overcome the resistance of the western grass? 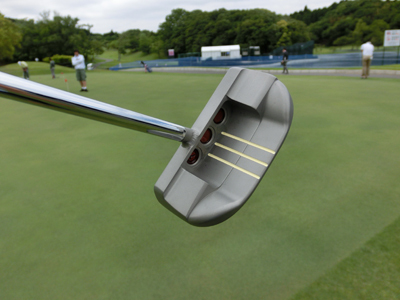 It’s very cute, isn’t it? 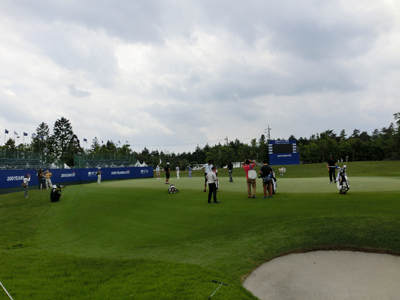 Mizuno Open, after 2 Open weeks. 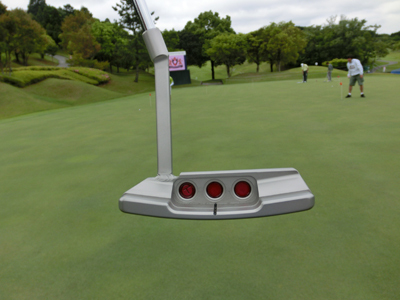 The players check their stroke and roll of the balls very carefully under the stick clouds. 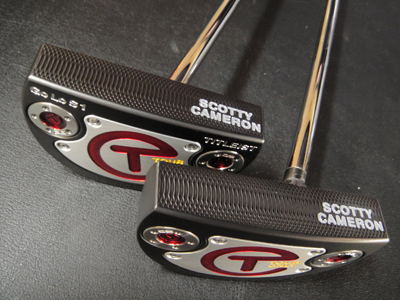 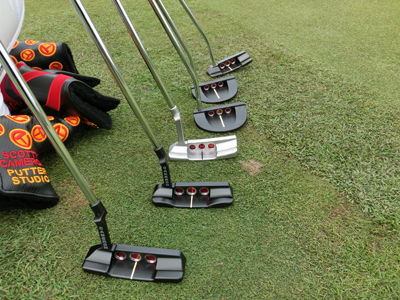 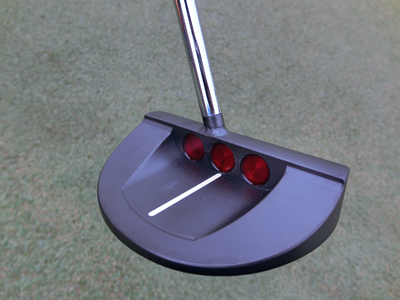 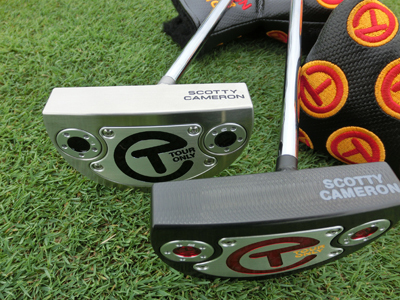 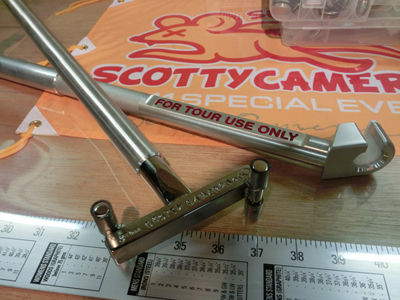 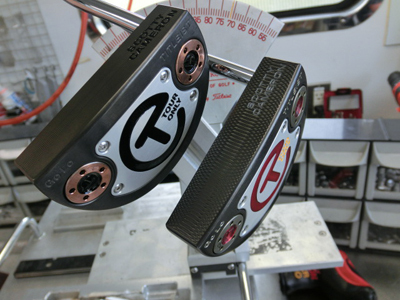 The original loft angle of Scottｙ’s putters is 4 degrees. 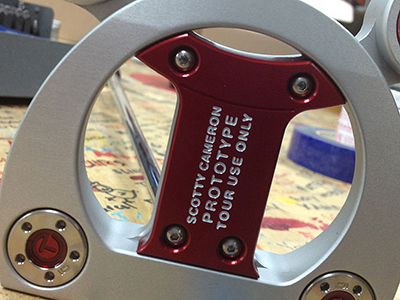 We adjust to make the angles to fit player’s requests. 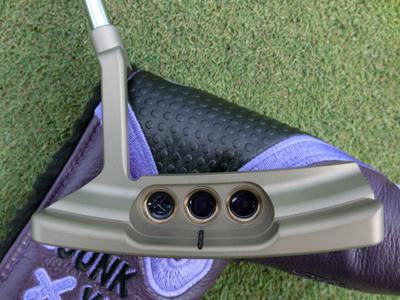 GoLo Tour welded spud neck is very popular in Tour. 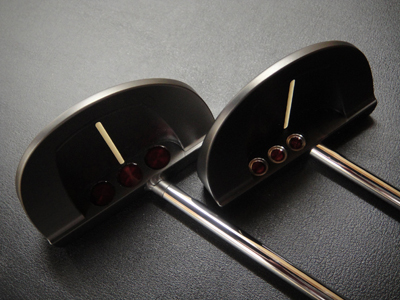 There are 2 versions, Silver and Black. 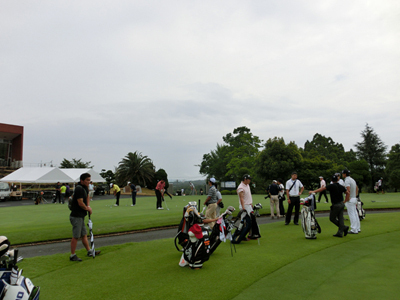 The golf course staffs removed rainwater which appeared on the practice green caused by a heavy rain. 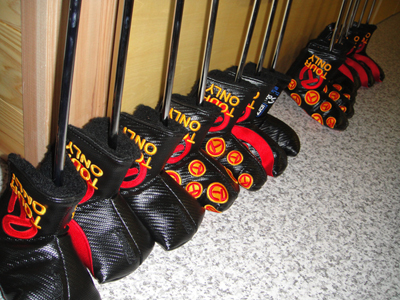 In this season, they also need to fight against to rainy weather conditon. 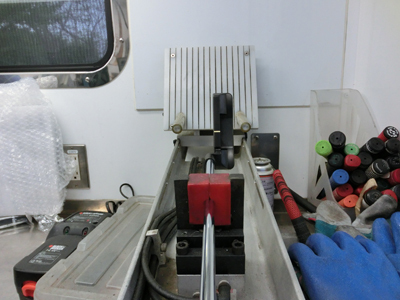 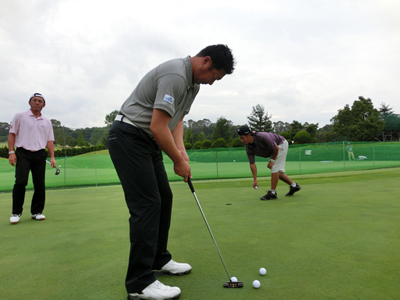 There was a long slope between the practice green and the tour van , we ran and ran there to adjust the putters for responding the requests from the players. 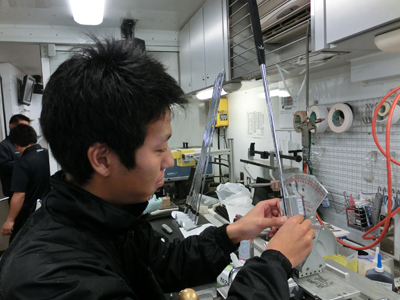 Mr. Fujita has already got the second win with Circa#3 GSS in this season! 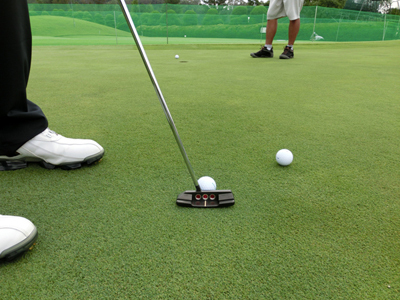 There are two practice greens on the course. 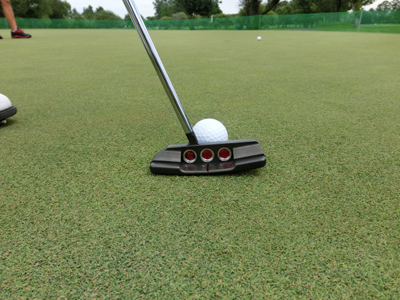 We move back and forth between 2 greens to respond to requests from the players. 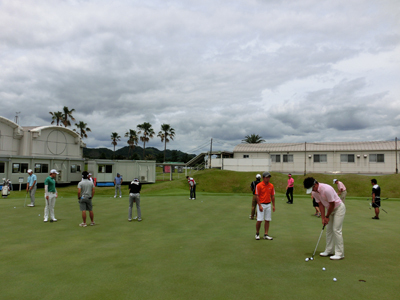 The players are practicing putting carefully. 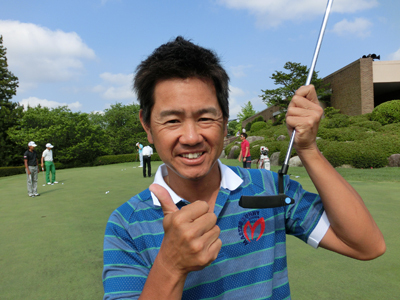 Mr.Kawase, a promising star from Hamamatsu. 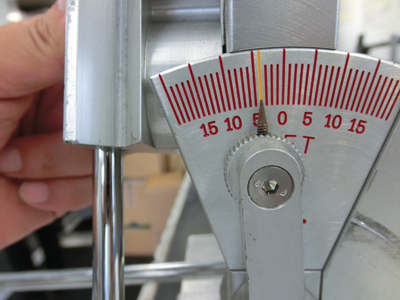 It takes about 50 min. 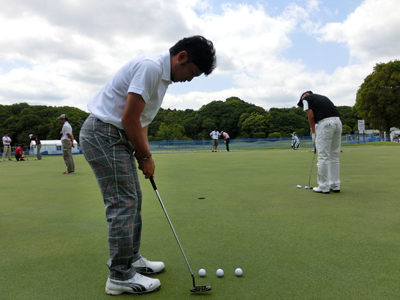 to the host course of Totoumi Hamamatsu Open from our museum. 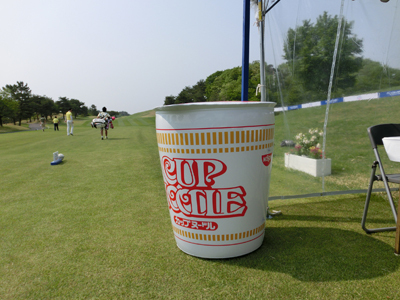 We went there to support the tournament. 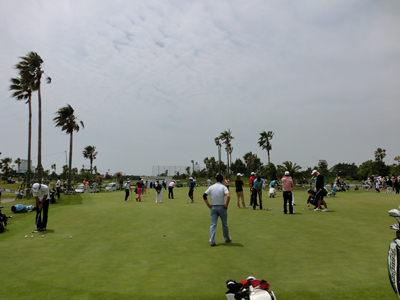 It was raining on Tuesday, the practice day, however, we had a great day next day for the pros and amateurs tournament. 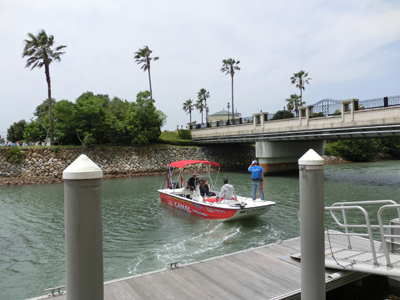 We respond to requests from players by moving between the tour bus and the practice green by taking a boat. 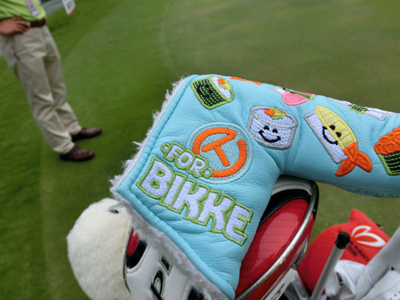 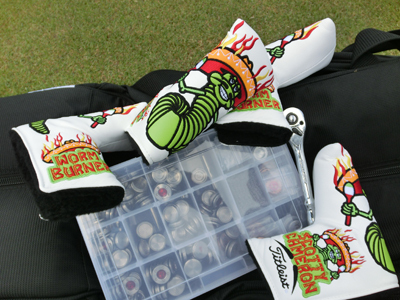 The Worm Burner head cover won great popularity at the tournament! 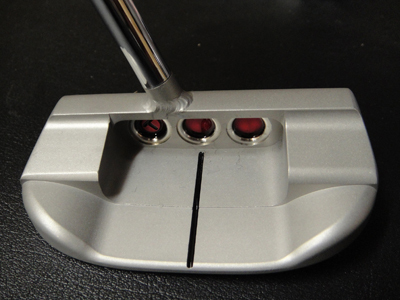 Tour Select Newport2 Notch back with spud neck.